What is your preferred online data backup service for Linux? What is your preferred online data backup service for Linux? - We have showcased here several online data backup services (8 of the Best Online Backup Services for Linux, 5 More Online Data Backup Services for Linux) that are available for Linux. 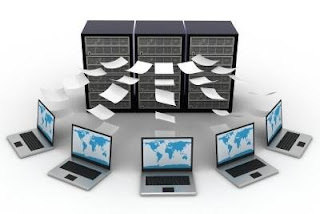 These online backup services provide fast, safe, and efficient solution for storing files or for backing up your data. For those of you who are using Linux, which among the following online data backup services do you prefer? You may explain your vote to us by adding a comment below. Most of the others I have not heard of. Dropbox dose all I need it too. Ubuntu One like MS Mesh only really work on their own platforms. I use different distro's and MS products. I can configure a fresh install with all of my documents and browser settings inside a few minutes just by installing XMarks and Dropbox, just so long as there is a fast internet connection. A freshly burn ISO and a clean hard drive and I'm set inside half an hour, install configuration and files. Dropbox along the XMarks for Firefox is a no brainer. Actually UbuntuOne is available on Microsoft Windows as well. File back-up is just an element of what it does, so the music and contacts functionality is also available on iPhone and Android. My concern about UbuntuOne is that it only works on Ubuntu! What of OSx or any of the other Linux distro's. As I said Dropbox works for me where UbuntuOne has it's limitations. I'm surprised rsync.net isn't on the list.